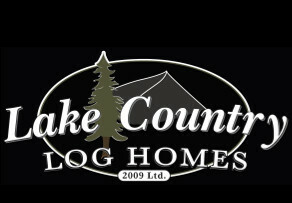 Our Log home is spectacular and is beyond description! Our new log home is spectacular and its character is beyond description! For a number of years, we had been looking to rebuild our home on Mara Lake but we were unable to find a design that was exciting to us. After walking by the Lake Country Log Home office in Sicamous in the fall of 2015, we finally went in to see exactly what they could build. We met Jamie Gervais and explained to him that we really did not know what we wanted for a new home. Our site was an irregular waterfront lot with many restrictions. Jamie took the time to do a site visit that very day. With the help of his designer and ours, we started the design process of our new home and we certainly appreciated the patience and input from everyone involved. After giving them the go-ahead, we were thrilled to be able to observe our logs being prepared and to pick out the special logs for our main entrance. Through every step of the construction of our Post & Beam home, the Gervais brothers, Jamie and Rob, were helpful with every decision we had to make. There were a few last-minute changes that were dealt with very efficiently. From start of design to assembly on site, it was approximately one year. We moved into our new home in June 2017 and we are thrilled with the results. Our new home is spectacular and its character is beyond description. Through the process, from contract signing to final erection of the post and beam frame, the Gervais family provided us with a professional yet personal level of service. We would like to thank everyone at LCLH for a job well done!